I have yogurt every day and sometimes so do my kids. To change it up, we like to add a little bit of crunch to it along with some fresh fruit. Here are ten things to add to your yogurt to make it crunch! Granola – there is such a wide variety of granola choices on the market today. This is my go to choice because you can get granola mixed with all kinds of dried fruits, freeze dried fruits, nuts, and seeds mixed in. Mulberry Berries – These Mulberries from Navitas Naturals are dried and have a nice crunch to them but are also chewy on the inside. They are a source of plant-based protein. They are packed with vitamin c, fiber, and iron, and contains nine essential amino acids. Nuts – Pistachios, peanuts, almonds, cashews, and mixed add a healthy fat and some protein to your yogurt. Oats – A crunchy choice if you don't have any granola. Sunflower seeds – You can't go wrong with these seeds, and they are sometimes seasoned to add a new level of flavor. 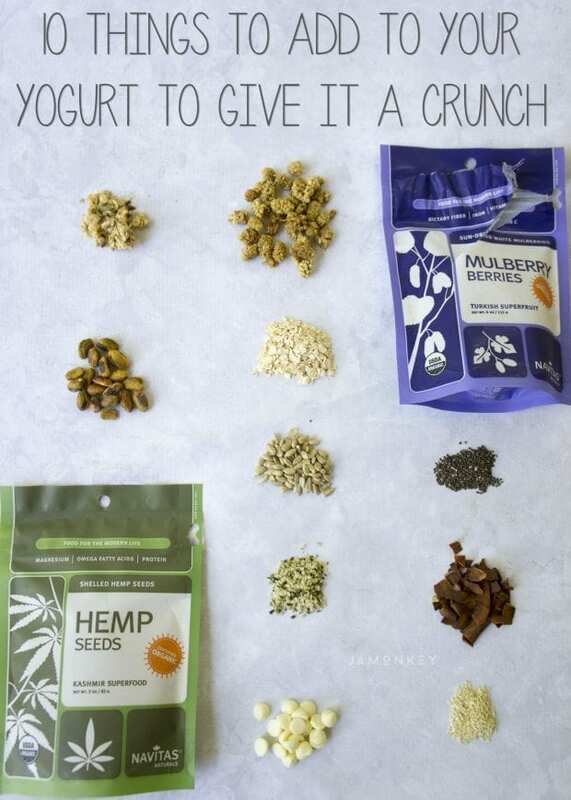 Hemp Seeds – I add hemp seeds to all of my smoothies because they aren't quite super crunchy, but they add a new texture and some great added health benefits. They are rich in two essential fatty acids, linoleic acid (omega-6) and alpha-linolenic acid (omega-3). Hemp is also a great source of magnesium. It is a Plant-based complete protein, and contains nine essential amino acids. 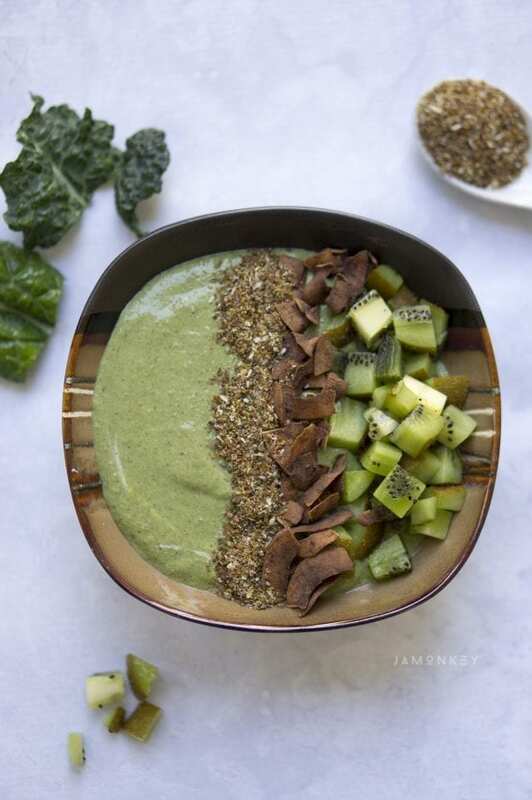 Hemp helps promote healthy cholesterol levels and cardiovascular health. Chia seeds – You may not even notice these little seeds until they pump up but Chia is high in fiber and has an added protein boost. Coconut – For a little crunch, go for the shredded coconut. If you want mega crunch, get toasted coconut chips. Sesame seeds – An excellent source of copper and manganese, also a good source of calcium, magnesium, iron, phosphorus, vitamin B1, zinc, molybdenum, selenium, and dietary fiber. Chocolate chips – Because sometimes your yogurt is a snack and chocolate makes everything better. What do you enjoy in your yogurt? I'm a Stonyfield Blogger. All opinions are my own.